You are strongly advised to be in the surgery at least 5 minutes before your appointment time. If you are unable to keep your appointment please let us know so that someone else can be given this appointment. 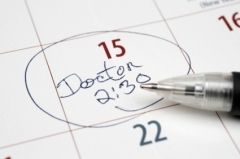 We offer a Duty Doctor service from 08.00 - 18.30 Monday to Friday for any urgent patient requests. We respect your right to privacy and safety. All patients are entitled to have a chaperone present for any consultation or examination. You have the right to decline the offer of a chaperone. However, the clinician may feel that it would be wise to have a chaperone present for their mutual protection. If you require a chaperone please ask at reception or the doctor/nurse at your consultation.